Sweet potatoes are one of the nutritious foods that offer countless beauty and health benefits. It is packed with magnesium, phosphorous, potassium, sodium, zinc, copper, biotin, fibre and omega three fatty acids. 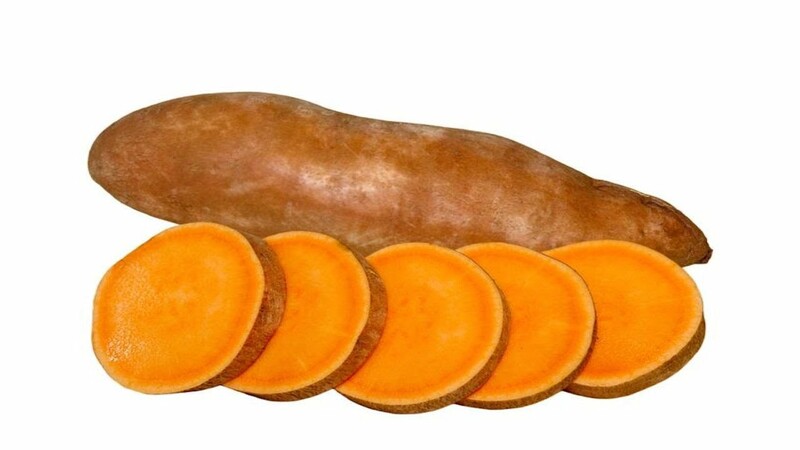 It is also rich in the vitamin A, B, C & K and an excellent source of beta-carotene & anthocyanin. Anthocyanin fights pigmentation & makes the skin look radiant and even gives anti-inflammatory benefits to the skin. On the other hand, the anti-inflammatory characteristics of sweet potatoes fight the free radical damage and prevents premature ageing. Sweet potatoes have considered as one of the miracle foods for healthy skin. The nutrients present in it benefits the skin and supplies the skin from within keeping all skin difficulties at bay. 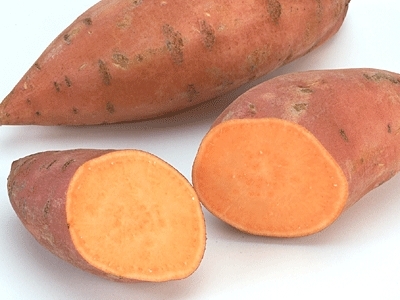 In this article, we have posted out the few beauty benefits of sweet potatoes. Read on to know more. Sweet potatoes have the ability to cure oily skin. Boil sweet potatoes, mash it, add a tablespoonful of honey & apply it on the entire face. Leave it for 20 minutes & wash with warm water to get rid of oily skin. Sweet potatoes are the best ingredient to treat dry feet and cracked heels. Soak your feet in water in which the sweet potatoes had boiled. Leave it for a few minutes. This procedure would help in getting rid of cracked heals naturally. Anthocyanin present in sweet potatoes decreases the pigmentation and its anti-inflammatory property benefits to get rid of dark circles, wrinkles & puffy eyes. Just place two slices of the sweet potatoes on the eyes or make paste and apply it to the eyes. Sweet potatoes rejuvenate dry skin and fight all signs of ageing. Make the paste of sweet potato, add a tablespoonful of honey and milk each. Apply this mixture on skin and clean with warm water to prevent premature ageing. 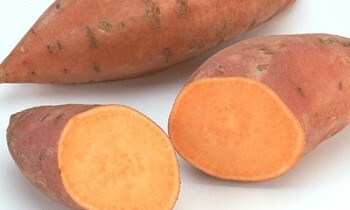 Sweet potato intensely moisturises the skin. Blend one tablespoonful of yoghurt & sweet potato together. Apply this mixture on the face and wash after some time. Sweet potato deeply replenishes hair. The nutrients present in it acts as a perfect hair mask. Mix equal quantities of yoghurt or curd, honey, almond oil & sweet potatoes. Apply this mixture on face. Wash after some time.